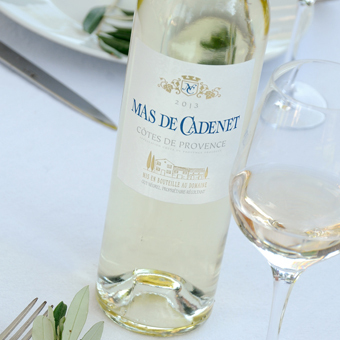 The Mas de Cadenet cuvée is the Domaine’s main production. 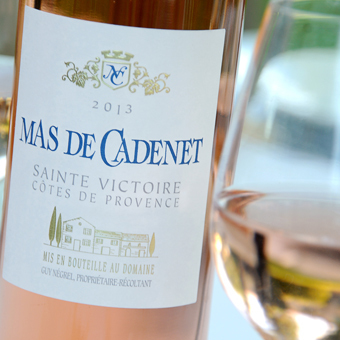 It expresses best the exceptional terroir of the Sainte Victoire Appellation based on limestone soil. These wines are dense, fruit forward and delicately fresh, thus reflecting the minerality of the terroir. Early morning harvest (must at 10°C), Picking of the grapes at rising maturity. Destemming, crushing of the berries and skin maceration. Low temperature alcoholic fermentation (18°C), rack of gross lees. Blending of the grape varieties. Clear and pale. Red fruits on the nose. The mouth is lively with layers of gooseberry and fruit drops. A delectable wine best served at 10°C. Picking of the grapes at rising maturity. This bright coloured wine has layers of kiwi, apple, citrus, white flowers and honey. The attack is crisp on the palate and the finish pleasant. Grapes harvested at full maturity, destemming. Alcoholic fermentation at 30°C with open air pumping over and delestage. Post-fermentation maceration for 5 days at 30°C with pumping over. 8 months of ageing in oak barrels (French oak barrels, 4 to 7 years old). A rich violet red. The nose is intense of stewed black fruit, spices and gamey perfumes. 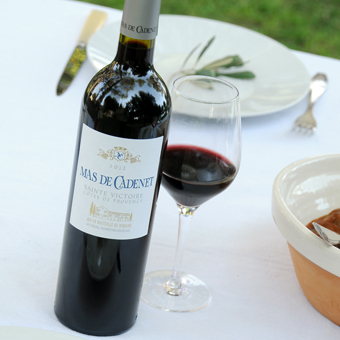 This structured wine has powerful tones of black fruits and spices. Drink at 17°C with red meats.